A customer enjoying a great bottle of red at a restaurant has a thought: “I need to remember this label and buy a case next time I'm at the wine shop." 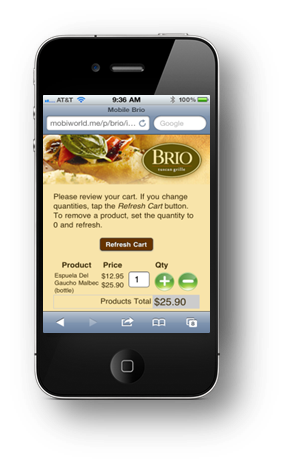 With mobiWINE that notion becomes an immediate reality with a mere point-click-send from a mobile phone. 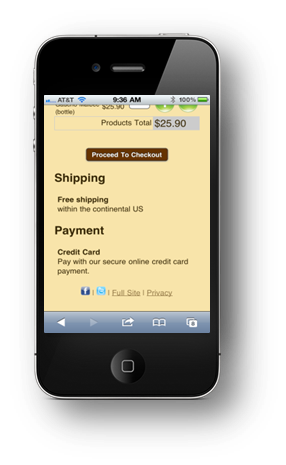 mobiWINE is a new mobile service for wineries, vintners, distributors, restaurants and wine consumers. mobiWINE allows consumers to easily order wine for delivery by the bottle or case using only a camera-enabled mobile phone and the free Mobius image recognition software used by the service. 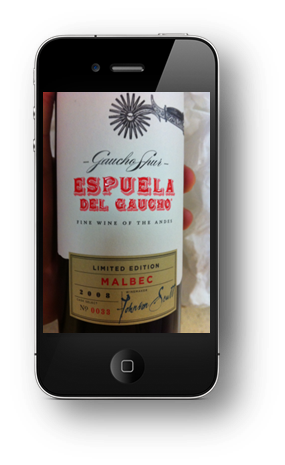 Here's how it works: Once the consumer takes a photo of the bottle label and sends it to wine(at)agm(dot)tw, mobiWINE instantly identifies the wine and replies with ordering options including payment and shipping details. Depending on the wine seller's preference, the mobiWINE reply message can also direct the consumer to the nearest wine shop carrying the label. The service is available via any camera-enabled mobile phone as well as desktop internet browsers. The mobiWINE service is also free to wine sellers and can be set up quickly and easily via a camera-enabled mobile phone. mobiWINE offers wine sellers a variety of options, from turnkey fulfillment to an immediate redirect to the wine seller's own e-commerce storefront. mobiWINE also offers advertising opportunities to wine sellers and related brands seeking to reach wine consumers. 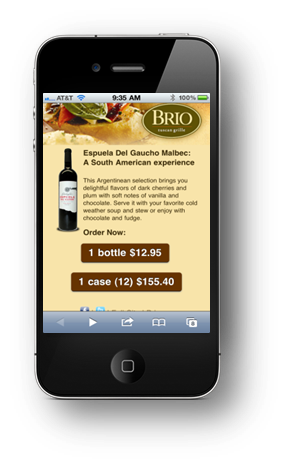 Advertising messages are placed in the reply messages consumers receive while ordering via mobiWINE. Windward Vineyards President/Founder Marc Goldberg is one of the first wine makers to join mobiWINE. "Windward Vineyard's small production Winery is excited to join this avant-garde concept in wine marketing; on the E-Commerce Horizon. It enables us to provide a virtual storefront to the world of wine lovers for the first time as a seamless process and I really mean the WORLD"
mobiWINE is also a great way to get consumers to visit their favorite winery for a wine testing. Local events as well as a weather forecast feature enables consumers to see what is happening in and around town as well as what the best day is to visit the winery. Weather Trends International CEO said: "Who hasn't planned a vacation or dream wine tasting tour say in Stefanesti-Arges only to have the weather not cooperate? With weathertrends360.com or the wt360 Pro iPhone mobile app, you can see your best wine tour vacation days a year-ahead, anywhere in the world!" "mobiWINE gives the consumer the ability to immediately act on their taste, and provides the wine seller with a channel to immediately meet consumer demand," said Mobius CEO Aram Kovach. "Further, the advertising model provides more opportunities for wine sellers and others, such as luxury goods or finer food brands, to reinforce their messages with a captive consumer in a known demographic. mobiWINE augments any marketing effort. For example, once a label is registered with mobiWINE any image of the label that is sent - an ad image, a poster photo, even an online graphic - will return a message with ordering options and more information. Users will find that mobiWINE functions as a "wine channel," with guides to pairing wine and foods, vineyard histories and wine tourism opportunities. 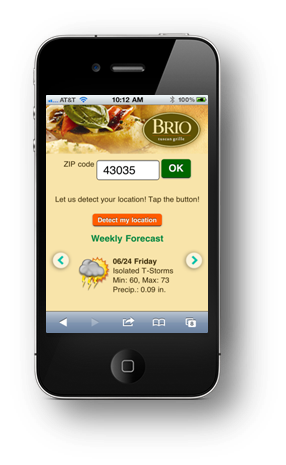 mobiWINE also offers tie-ins to social media platforms, online charity campaigns and other promotional programs, and even comes with Weather Trends360 integration so users can plan a winery visit around the weather. Visit http://mobiWINE.mobiusworld.me to find out more about mobiWINE. The complete line of Mobius mobile image recognition products can be found at http://www.mobiworld.me. Mobius is an image recognition system designed to work with any camera-enabled mobile phone. When a user sends an image via a mobile phone, Mobius automatically receives, identifies, and replies with a custom message, special offer or other unique mobile content including video or sound files. Mobius mobile image recognition technology is also used in the mobiLUX, mobiSHADES, mobiTRUST, mobiPET and mobiBIZ applications. For more information about CompEx, Inc. or Mobius, contact our US Headquarters (877) 829-0536 or visit http://www.compexinc.com.